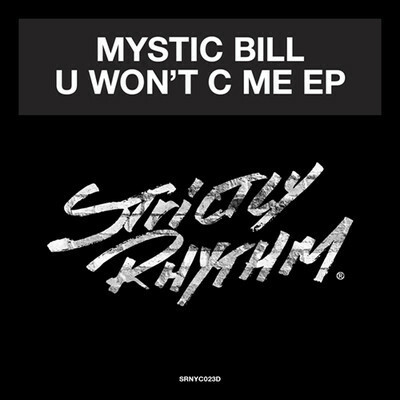 Apparently a leading proponent of the classic Chicago house and Detroit techno sounds, Mystic Bill has previously released his tracks on labels such as Trax Records, Relief, Club House and Classic Music Company. Now, Strictly Rhythm releases his latest track, ‘U Won’t C Me EP’, a pairing of artist and label that fits like the proverbial glove. Title track ‘U Won’t C Me’ is a dusty yet cutting edge house record that marries the classic and contemporary sounds often found in Bill’s productions. Its powerful spoken word chant and predominant 808s create a fierce cut that is possibly far greater than the sum of its parts. On the flip, the throbbing kick drum and deep synth layers in ‘Like A Dream’ create a tense dynamism that builds towards a fitting crescendo. Check it out below, it’s out 9 November. This is the perfect web site for everyone who would like to understand this topic. You understand so much its almost hard to argue with you (not that I personally would want to�HaHa). You definitely put a fresh spin on a topic which has been written about for years. Excellent stuff, just wonderful!